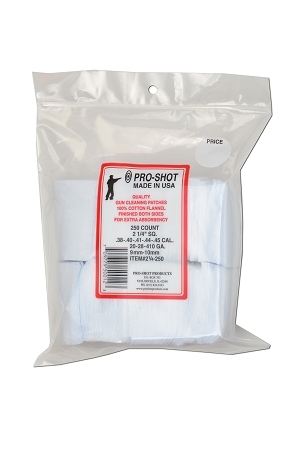 Home > Brinks Exclusive > Solvents and Patches > .38-.45Cal./.20-410Ga. 21/4 SQ. 250CT. American Cotton & American Design come together to form the best patch in the world! 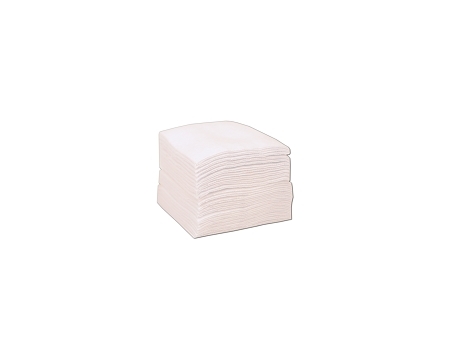 High thread count with tightly woven material along with our double napped on both sides creates a superior cleaning patch that have become known worldwide for their unparalleled cleaning ability. Often imitated, never duplicated!! The fact is well-known that nothing surpasses 100% COTTON FLANNEL FABRIC for purposes of absorbing foreign matter and residue, and in turn carry it through the BORE with the LEAST amount of abrasive contact to the barrel’s rifling.